Highland UT is close to the base of the Wasatch Mountains at the very north part of Utah County. Highland is a part of the greater Provo- Orem area north of Highland and American Fork. 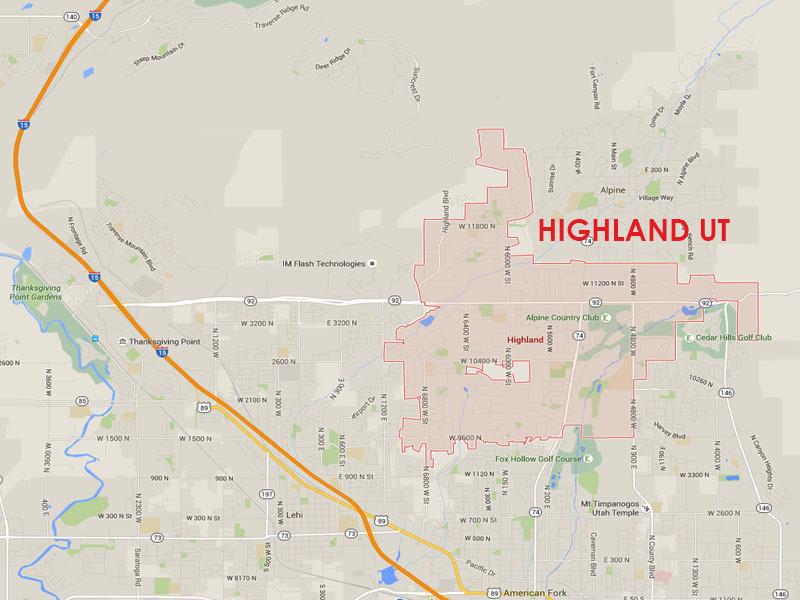 Highland was incorporated in 1870 and is about 8.5 square miles of land. It was founded by homesteaders. Highland is known for its beautiful views of the Wasatch Mountains and is the gateway to the Timpanogos Caves and National park.